For professional portrait photographers around the world the must have and “go to” software is Pro Select. This software was specially designed for photographers for “face to face” selling of their images. There is plenty of information on the internet in forums, webinars, seminars and the like, on the way that you talk to the customer at sale time, but most of these rely on the photographer being a confident sales person, or learning slick sales phrases. For me, as a photography business coach, the key is to use a selling system that is non pressure for the photographer and the client. Most of us as photographers are not born sales people and often the sale time can be stressful for both photographer and customer. In fact selling is what most photographers fear the most. 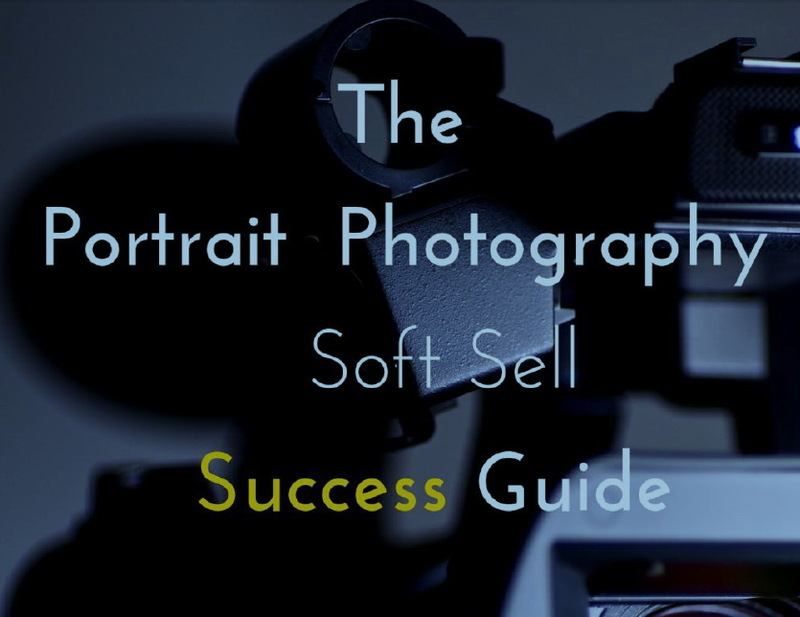 More and more photographers are working from home, and these photographers juggle their business and family life, and so having a simple soft sell sales system is crucial for their success. If you fail to do a competent and relaxed purchasing session, you may not make any money. You can in fact lose money. If you give the customer a bad experience, you may quickly get a bad reputation in your area, and not get any customers at all. Both of these scenarios are of course not acceptable. Solid, predictable and consistent selling systems are the heart and life blood of any business. I must admit that I did learn from my mistakes, of which I made many. Selling can be pressure for both the customer and the sales person. It took me many years to realise that people love to buy, but hate to be sold. Of course over many years I read numerous books on selling, been to seminars, and looked at online courses on in person sales. Non of them gave a specific step by step way of doing the selling process, and all the information was very dated, (and still is) in doing things the way I did 20 years ago. I decided to develop a new way to do my portrait sales. A very relaxed way. A no pressure way. A way that anyone could do. Although very simple, it is powerful and it may be hard initially for your brain to accept, but believe me it is based on my specific experience over thousands of portrait sales that have put hundreds of thousands of dollars into my bank account. Once I implemented my “Bernie’s Pro Select Soft Sell System” not only was the pressure taken off my in person sales, but my sales substantially increased! A Simple 10 Step No Pressure Selling System. My new sales system changed my mindset. It will change yours if you let it. Don’t fight it, simply try it. Test it. You can easily lose thousands of dollars if you do not do your selling correctly. Imagine if you only increased your average sale by just $100, over 50 sales that would equate to $5,000! That is why they fail, in the most important part of their business. I believe that ninety-five percent of photographers in sales are failing miserably. Change what you are doing and you’re going to succeed. With the photographers that I coach, I see even experienced photographers consistently break all their records in sales, by using my Pro Select Soft Sell System. Just relax and let the system do its work. Let it come to its natural conclusion. Do not prejudge what the customer can or cannot afford. Don’t think that the customer doesn’t have the money to invest a lot in photography. Simply follow my system. Get my E-Book here. It’s FREE. Are You Worth More Than You Think ? “I am so excited! I love photography and two years ago I started a business from home. I just did “shoot and burn“, offering a CD of images for $175. After a little mindset change and going through a lot of learning curves, and after making some hard decisions, I am now charging closer to my real worth, and I am regularly selling nearly $1000 per sale. I have also had quite a few sales even higher than that. I was just about to give my photography passion away, and go back to my previous job as an administration officer for the local council., when a close friend who was also a photographer, suggested I contact Bernie Photography to see if he could help me. One was that I needed to stop Shoot and Burn, and start selling wall portraits. Then to design a structured price list , and then to adopt a simple selling system. The structured price list was the most important thing. Once I had that all I would have to do, would be to show them what I have for sale, and sit back to let them make their own decisions. Simple really. But it worked! By the way, I understand if you’re charging less than $35 each for your Gift Prints (8×10 and smaller). Those were the prices that I had been charging. You are probably cheating yourself, because I know from my own experience that the customer is willing to pay heaps more than you think. If you love what you do, sometimes you forget about the money. You take photographs because you love it. It could be the only thing that you have found that you are really good at. I just got so tired of working so hard and having no money in the bank. Call Bernie for a FREE consultation like I did. Better now than never. Posted in Uncategorized | Comments Off on Photography Pricing. Ric is a multi award winning photographer, and all round really nice guy. I visited his studio as he needed my help as a photography business coach. He is going to renovate his studio, and give it a total transformation. Guess what one thing I advised that he do?………… that’s it….. get rid of the yellow wall and let your photos shine. After my one hour visit we came up with over 50 ways that he could lift his studio presentation. A few of the things on the “to do” list for Ric are….painting the outside of the shopfront in a charcoal colour, the door a glossy black, inside walls to be painted in grey, adding a gallery style lighting system to make his photographs “jump off the wall,” getting rid of purple logo from window and changing it to light grey with a slight silver sheen, getting rid of old couch, putting up a stylish mirror, taking down the nine wedding photographs that are currently on the walls, (Ric is getting out of photographing weddings on my advice), taking away the wedding albums, putting up a Manfrotto background holder, installing a door to the office and more. We costed it all out at just $3,000 for the whole transformation! Wow! Ric has planned to get everything done in the next 3 weeks so I will keep you in touch with a new video when everything is complete. Meanwhile Ric has worked hard on his Marketing this year, and has seen a 40% increase in his turnover.